Today is Fetal Alcohol Spectrum Disorders Awareness day. While I do intend to post more frequently on the topic in the coming weeks (here and on instagram), as the entire month of September is FASD Awareness month, I knew I wanted to write something specifically for today. A progress update from last September 9th hardly seems fitting. We're not measuring LB's progress annually- it would be impossible to, and sort of unnecessary. She grows, learns, and develops just as any child does (and is far more advanced in some areas than her peers). The manifestations of the disorder are so integrated into the day to day, that we take it just like that- working through the challenges, celebrating her successes, and doing what we can to provide her with the tools and resources she needs to thrive. I considered presenting facts and statistics. I'm an analytical person, and charts and data are my thing. If there's a book or an article written on FASD, it's on my shelf, bookmarked, or in a folder ready to share. I read through familiar paragraphs, mentally highlighting what I thought might be of interest to others. I've read through much of it many, many times, internalizing it, memorizing it, running though it in my mind when I can't sleep at night. Information is comforting to me, particularly when my thoughts drift toward the unknown- which, when you have a child with a spectrum disorder, there's an abundance of. It was in taking a break from researching and gathering information for this post, that I came across the following statistic on instagram. The average life expectancy of a person with Fetal Alcohol Syndrome is 34. I wanted to write it off as being inaccurate, unfounded. I mean, I saw it on instagram. I know that prenatal exposure to alcohol does not just affect the brain, and that other major organs are at risk. I know there are health concerns that extend beyond neurological. I know that severe cases of exposure are, indeed, fatal. I've just never, ever come across a statistic as remotely shocking or similar. As much as I wanted to dismiss it, I didn't. I couldn't. I turned to google with the notion that I'd find nothing to support this. For the record, googling your child's life expectancy feels every bit as horrifically wrong and uncomfortable as you might think. Reading the full publication made me feel simultaneously empty and as if I'd been stabbed in the stomach. I was nauseous, ill, numb. I didn't want to think about it. I didn't want to talk about it, as though opening my mouth would cause whatever it was that was holding me together to unravel. But I couldn't get past it. Everything else that I could have shared today pales in comparison to the importance of this. The life expectancy of a person with FAS is remarkably lower than for those who aren't affected. The reality of these recent findings are devastating, but they are reality, nonetheless. I struggle to fully comprehend all that it could mean. To try to type it out is almost beyond me. Until now, the unknowns that I wonder about and worry over are her schooling, the need for good friends and understanding mentors; will she have a job? Children? Will I need to always live close to her? Can I imagine the frustrations of being aware you are living with irreversible brain damage? I don't have all the answers. I don't even have all the questions. I can't say I know everything will turn out okay. I know that information and education is vital, as is utilizing every accessible resource, and seeking out the ones that are not so readily available. The fact that this is known- as much as I might not want to know it- is imperative in changing the numbers. My daughter is two- almost three. It's not unlikely to think that, thirty years from now, the outlook will be different. It's also possible to completely eradicate FASD for future generations. It has only recently been published that there is no known amount of alcohol that is safe to consume while pregnant. There has been a great deal of conflicting information in the past, leading women, even health professionals, to believe that small amounts of alcohol are safe during pregnancy, or that it's okay to drink in the first few weeks. There is no safe amount, nor is there a safe time during pregnancy to drink. This information needs to be spread. If you drink, use birth control. If you're planning to get pregnant, or even considering it, stop drinking. If you are drinking and pregnant, tell your doctor so that they can better assist you, and get you in touch with a counselor or someone better prepared to offer ongoing support. If your partner/friend/relative is pregnant, stop drinking yourself in an effort to lend moral support. Let them know they can depend on you to be there for them, and to make other arrangements for parties and social events as needed. The stigma and shame that is associated with drinking while pregnant needs to be done away with. There are so many reasons that a pregnant woman might drink- ill-intentions toward their child is not likely to be one of them. 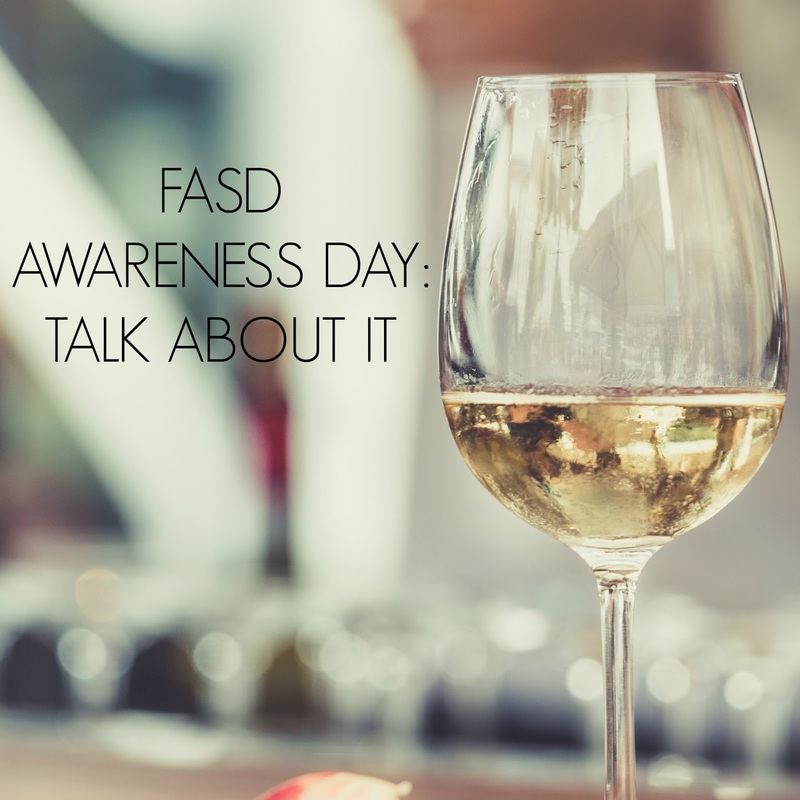 There is no shame in having FASD and there should be no shame in giving birth to a child with FASD. Circle of Hope is a great resource for women who need the support, understanding, and community. 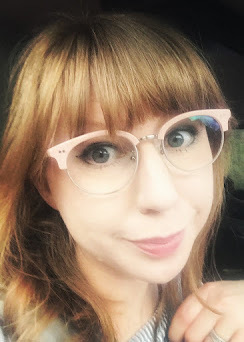 The fact that the average life expectancy of a person with FAS is 34 is not something that I want to talk about, but it needs to be talked about. It's only through talking about it that we can bring attention and awareness, lessening the stigmatization of disorders and more fully offer support. It's only through talking about it that we can inform and educate in an effort to end FAS for good.